Close on the heels of busting a cyber-criminal gang in cashless digital transaction for the first time in India’s police history in Mangaldai, the Darrang police on Tuesday night managed to foil a kidnapping bid of a local merchant of raw “gutkha” and busted a racket of professional kidnappers involving foreign nationals. 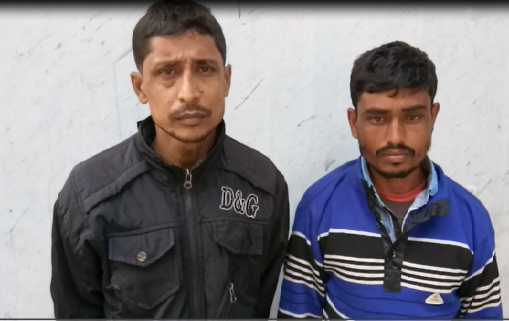 The Darrang police nabbed two members of the professional kidnapper gang. One of the members of the gang is from neighbouring Nepal. According to police the foreign national from Nepal identified as Nabaraj Sharma was nabbedon Tuesdaynight from the residence of one Saidur Rahman in Kharupetia area where he had been taking shelter for the last couple of days. Police said he devised a plot to kidnap one local Gutkha trader with the help of his other accomplices in Byrnihat in Ri-Bhoi district of Meghalaya and Karbi Anglong and demand a huge amount of ransom for his release. However, two other members of the criminal gang whom police have already identified managed to escape. Police have registered a case in this connection and they are on the lookout for the other members of the gang.